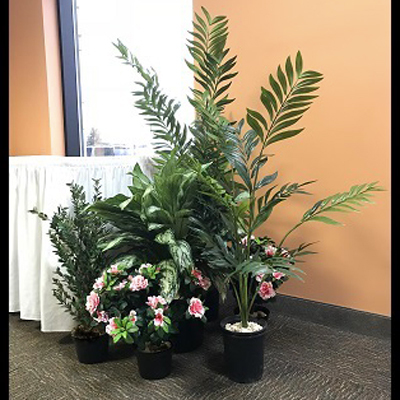 We've provided a visual for you to show how much floor space these 6 plants utilize featured next to a standard 8 foot banquet table. Adds life to any party such as Prom, Weddings, Corporate Theme Parties, Nautical Theme Parties, Seaside or Ocean backdrops. Larger grouping option is our popular RENT-A-WOODS! Must rent at least 10 potted items (5 of which must be trees) to save 25%! !